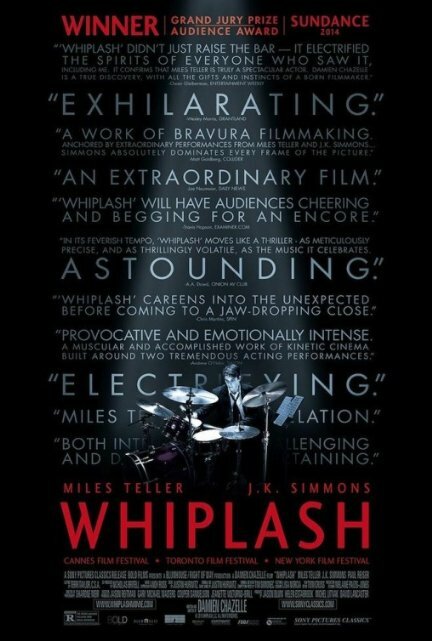 J.K. Simmons delivers the performance of his career as the intimidating jazz conductor determined to bully Miles Teller into excelling as a drummer. When Andrew Neiman (Teller), a drummer that aspires to become one of the ‘greats’, gets accepted into the jazz band of Terrence Fletcher (Simmons) he thinks that life is starting to look up at school. Little does he realise that Fletcher constantly berates, bullies, and abuses the members of his band if their style of playing is not perfect. Determined to become better, Neiman leaves his new girlfriend Nicole (Benoist) and becomes more obsessed with perfecting Fletcher’s choice of songs. 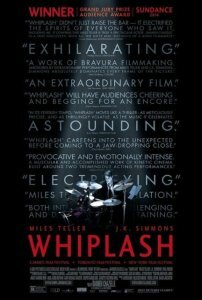 With constant competition for his spot, Whiplash follows Neiman on the downward spiral of his sanity as he is constantly drawn further into and then repeatedly kicked out of Fletcher’s world. Are Best Picture, Actor, Supporting Actor, and Director Oscar Nominations to much to be asked for? 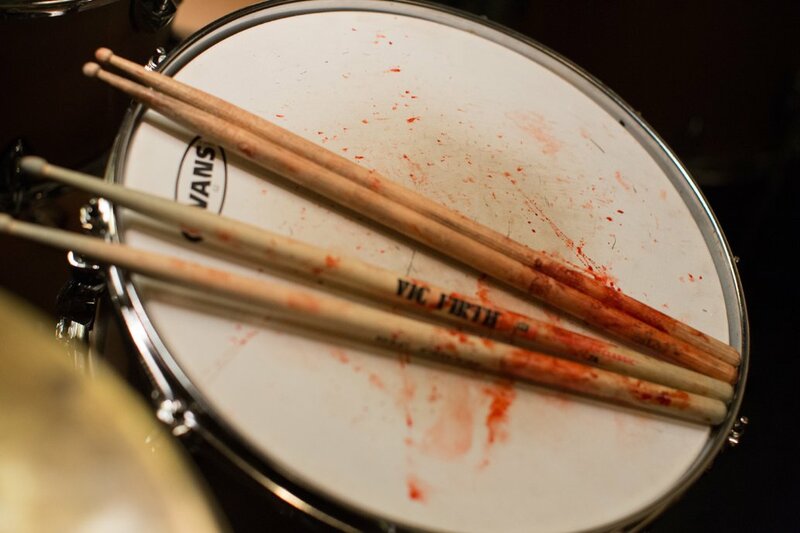 Whiplash is a masterpiece. Not only is the story compelling, but it is hard to say who is better between the lead and the supporting actor. Teller is unbelievable in this role and it is hard to think that the majority of his roles are comedies or rom-coms. Even though Teller does know how play the drums, it is still memorising watching the furiosity that with which he can. Then the camera will cut across to show Simmons losing all composure. The switch from a man in control to what more resembles a rabid animal is remarkable. Not just this, but the calmness that he uses to deliver homophobic or derogatory remarks to any of his group is nothing but impressive. Could anything match the performances? Only the unexpected second ending to the film. Once everything has calmed down and the film looks over, it starts up again to deliver another which is even better and especially highlights the performances from Teller and Simmons. It is the final ten minutes that offer the biggest surprises and the best drumming. Simmons is terrifying, Teller is fascinating, and this is an amazing breakout movie from writer-director Damien Chazelle. This should definitely start to develop some strong Oscar buzz. Tagged 5/5, Comedy, Drama, Film, Musical, Review. Bookmark the permalink.